The Falcons and Braves combine for 18 players and 21 positions on the all-star rosters. Team success breeds individual accolades, and as a result the Banks Braves and Liberty Falcons were well represented on the 2018 Oregon All-State football teams recently announced. Banks' state title team boasted six first-teamers at seven positions, and four different players chosen as honorable mention. 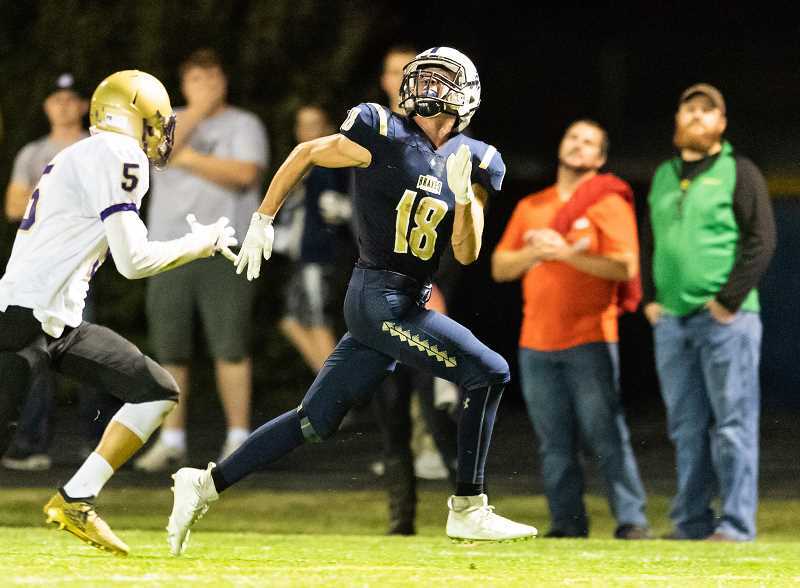 The Braves were led by four first team selections: offensively, senior quarterback Hayden Vandehey, senior wide receiver Blake Markham, senior tight end Blake Gobel, and junior kicker Jacob Slifka. And on the defensive side of the ball: senior linebacker Hayden Gobel, Markham at defensive back, and junior defensive lineman Risdon White. Vandehey finished the year completing 66 percent of his passes for more than 3,200 yards, and 36 touchdowns to just eight interceptions. In addition, the two-year starter rushed for more than 400 yards and four scores. Markham, a versatile weapon on both sides of the ball, caught 67 passes for 1,194 yards and 11 touchdowns, while rushing for 384 yards and three touchdowns on just 47 carries. He also tallied 38 tackles on defense with four interceptions. Blake Gobel had 53 receptions and 15 touchdowns from his tight end position, while his cousin Hayden led the Braves in tackles with 121. Banks' honorable mention selections included: Senior linebacker Josiah Ochoa, junior center Andrew Nichols, junior linebacker Bryson Cook, and junior defensive back Gabe Streblow. 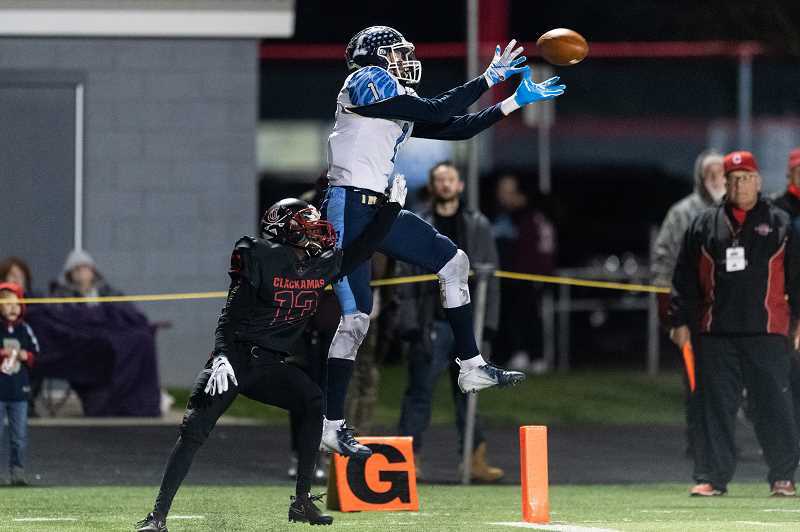 Liberty, who had their most successful season on record, claiming a Pacific Conference championship and advancing to the state quarterfinals before losing to Clackamas, had 10 overall state honorees, including first team defensive back Marquis Brown. Brown, a junior who was also an honorable mention selection as a receiver, was the Pacific Conference Defensive Player of the Year. Joining Brown on the list of honorees were honorable mention selections: senior quarterback Brad Norman, senior center Jarett Boyce, senior offensive lineman Rafael Hinojosa, senior offensive lineman Diego Rodriguez, senior defensive lineman Jed Steinhoff, senior linebacker AJ Records, senior defensive back Aiden Maloney, and Norman again, this time at punter. The Player and Coach of the Year awards have yet to be announced.